I love getting farm fresh brown eggs! So, when I bought this adorable Trio of Chicks file from My Scrap Chick, I knew this little chick would hatch out of a brown egg. I cut her with my Sizzix Eclips. 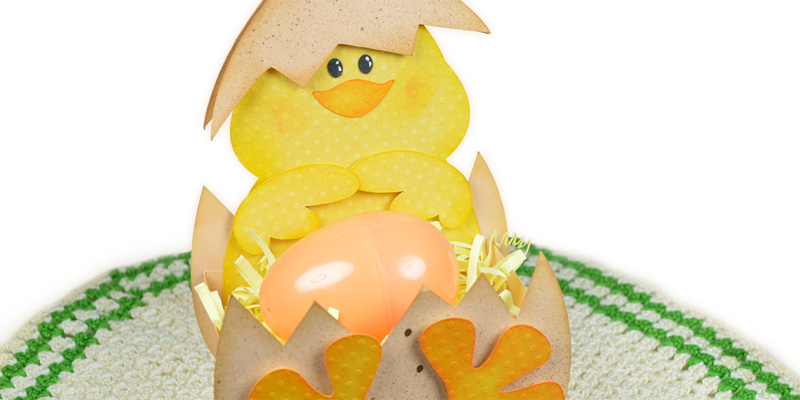 I used Glimmer Mist Cork spray for the speckles on the egg shells. Edged the shells with Vintage Photo and the beak and feet with Orange Marmalade and lastly, the chick with Scattered Straw Distress Inks. The shell on her head, her wings and her feet were all put on with foam squares for extra dimension. You can find the file for this cute Belly Box here. When is a Christmas Tree not a Christmas Tree? 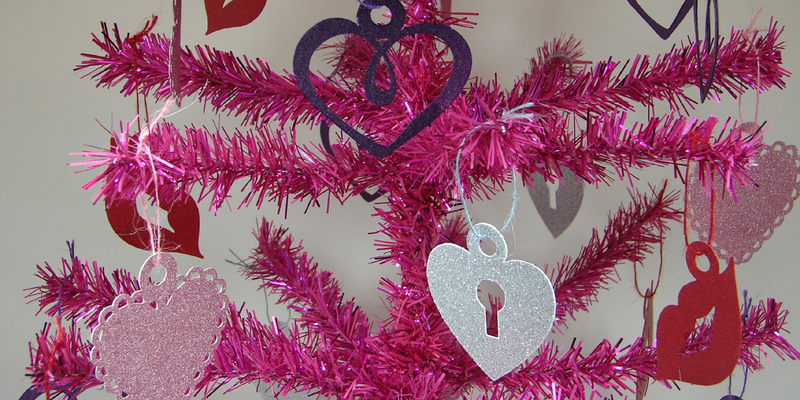 When it’s a Valentine Tree! 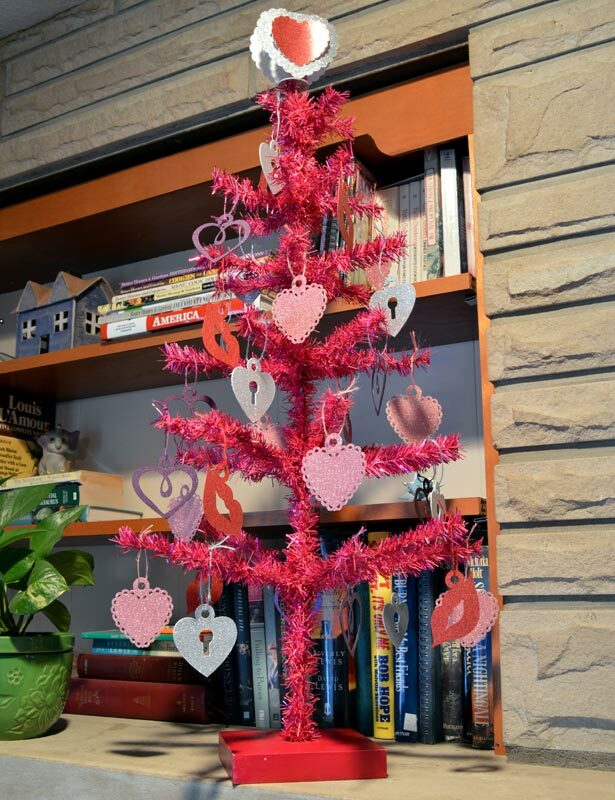 I bought this fuchsia pink Christmas tree for 90% off the regular price. Yippee! 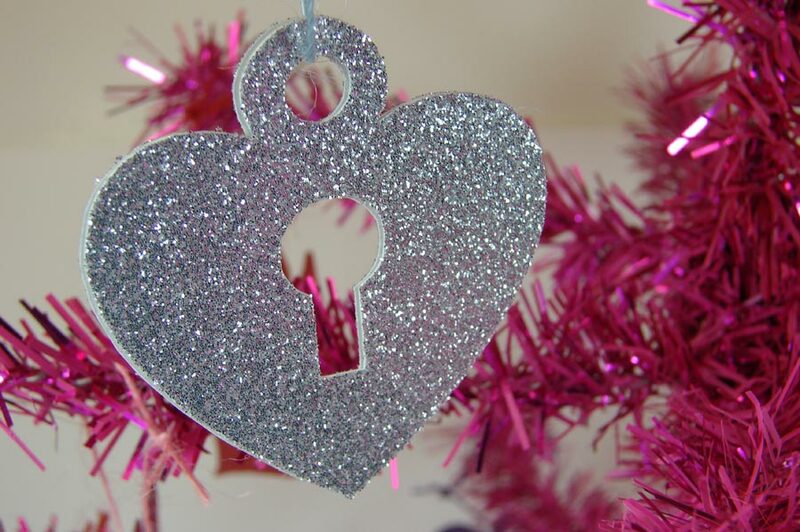 I knew it would make a cute Valentine tree. So I went home and got busy on my Silhouette Cameo. 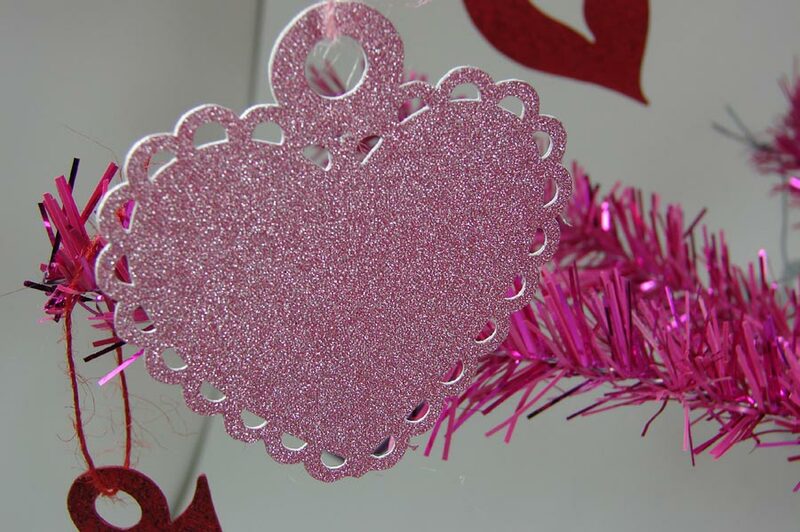 For the ornaments, I used a file from the Silhouette store called Valentine Charms by Kenzie Daley. I sized the file to 6.75″ wide . I ungrouped them and cut from glitter paper. 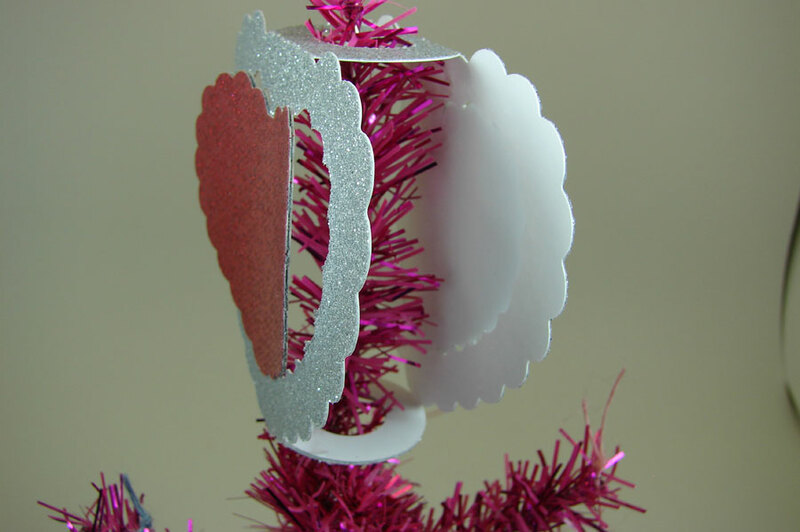 For the tree topper, I used the Pencil Tree Topper file. 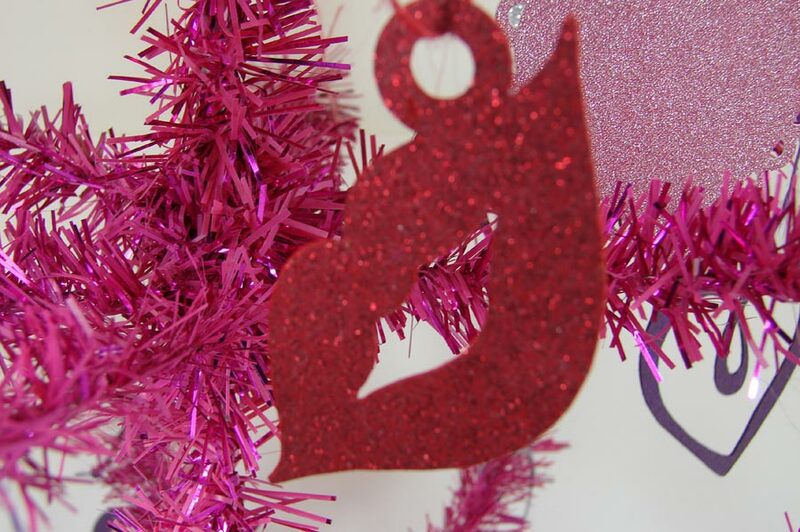 I sized it up to 6.75″ wide, and cut with glitter paper. 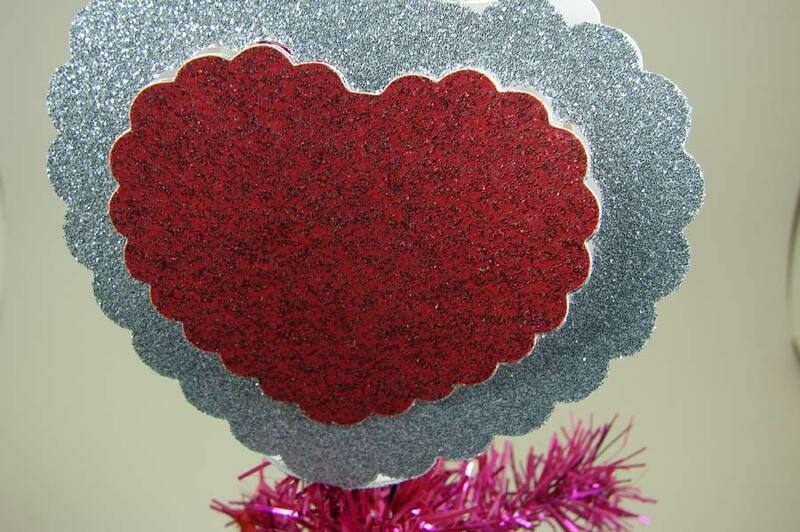 Then I cut just the scalloped heart with red glitter paper and glued it on. Now I have a happy Valentine tree. …and that means the air inside is DRY. My Grandparents always kept pie tins with water on the heat vents, and I don’t remember them getting colds in the winter. Unless you use a humidifier, the Polar Vortex is wreaking havoc on the air you are breathing at home. 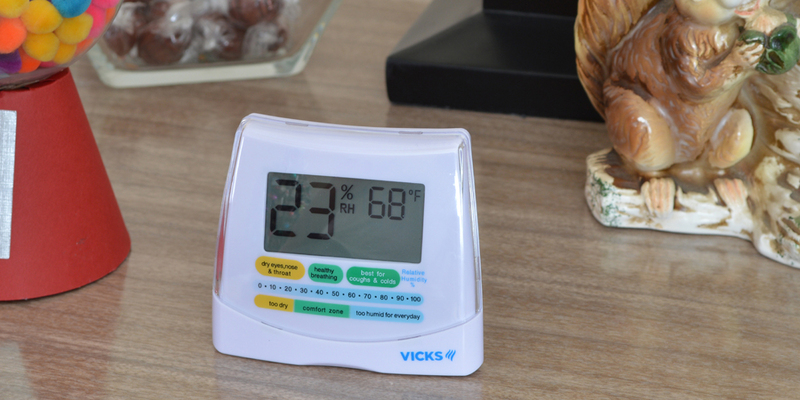 I bought a Vicks humidity meter and as you can see in the above picture, it was reading 23% humidity. That equals more dust and dry noses. If you can keep the humidity level in your home at 25% to 60%, you will breath much better. If you have coughs or colds, you need even more humidity in the air. Do you have a Crock Pot hiding in the back of your cupboard? I use mine for a humidifier when the air gets too dry. With the lid off, it will put much needed moisture in the air without worry that it will boil dry before you know it. Make some pasta or cook potatoes for supper,and besides making an awesome side dish, you’ll add some humidity while you cook. Leave the bathroom door open while showering to allow the moisture to travel out into the house. And don’t forget you can always put dishes of water out near heat sources. It won’t take long to see and feel the difference. 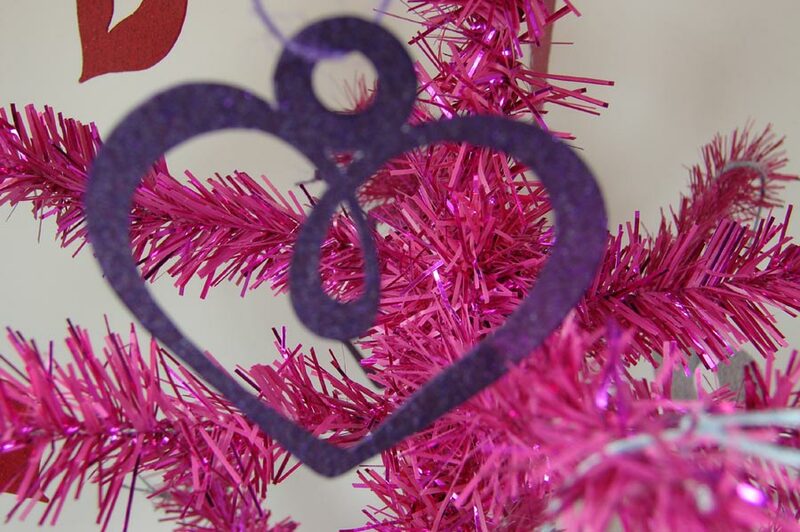 Just wanted to show you all the Valentine banner I made with my Silhouette Cameo. I used the Love Banner file by Lori Whitlock. 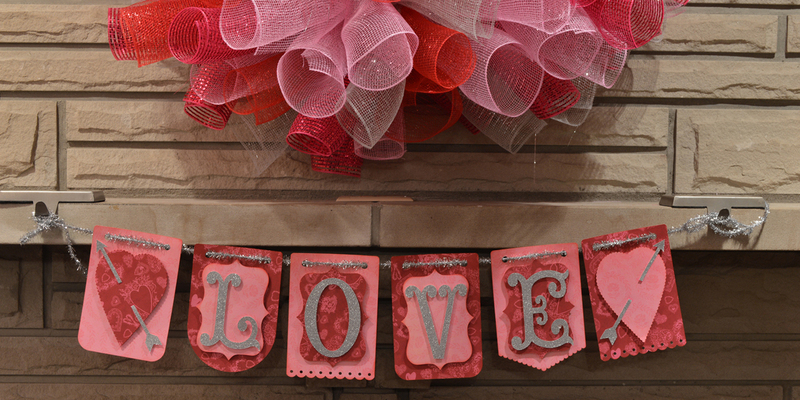 It has the files needed to cut 4 different banners with lettering to spell LOVE. I wanted a longer banner, so I cut 2 more of the banner bases. Next I used the Silhouette file 8 Piece Scalloped Heart Set 1 by Samantha Walker Designs. I sized a scalloped heart to 5″ h x 3.760 w. The arrow is Arrow by Ginny Nilson cut at 5″ w. I just cut the arrow in half and spread it apart. All the layers were pop dotted and inked with Tim Holtz Barn Red Distress Ink for added dimension. The popular boy band One Direction has announced it will be collaborating with the newest international sensation, MonKen on an upcoming song for their new album. 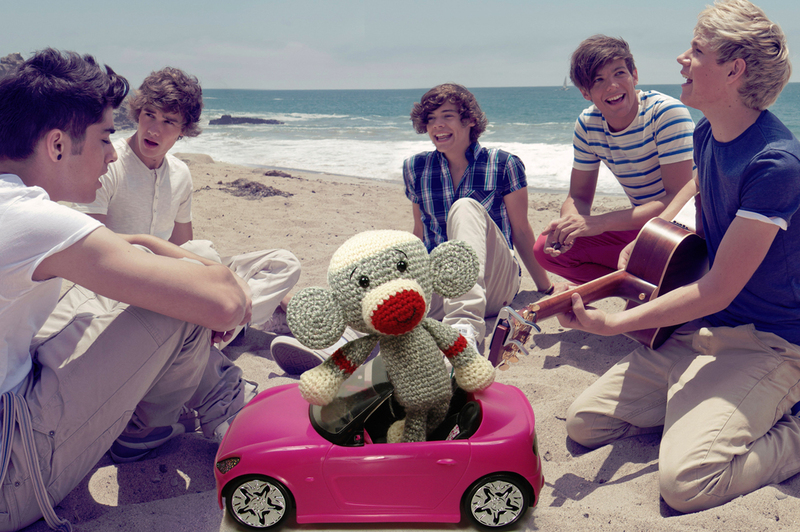 A spokesperson for 1D says that MonKen will add a second direction to One Direction. “Monken is so good, he may even add a third direction!” he said. Kiwi J was spotted at a local alley killin’ the pins wit her mad skillz. 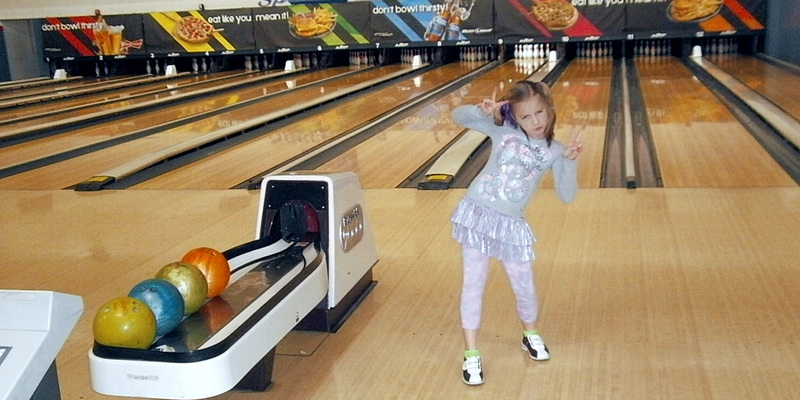 Witnesses claimed she rolled the first 301 in the history of bowling. She may just be the best EVERRR ! I'm happy to announce that I am now a Close To My Heart consultant. They have some great products that I'll be demonstrating right here. Click the logo to visit my store, and please do send me an e-mail if you already love their products, or have any questions.